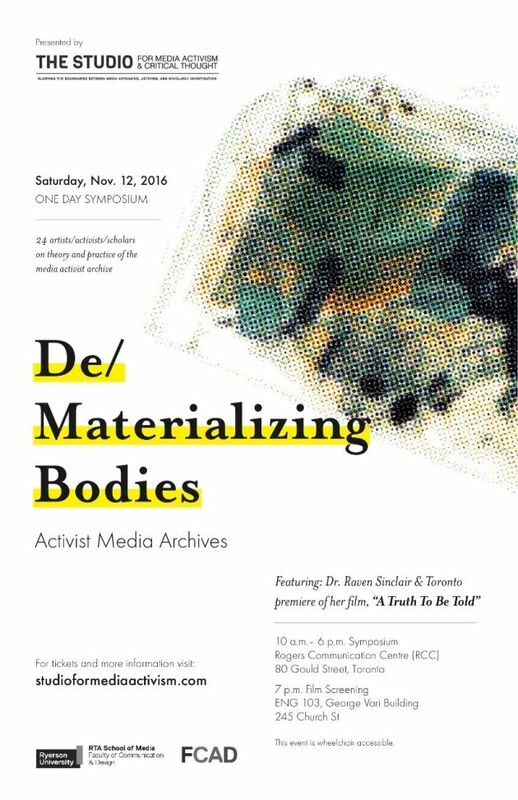 Activist Media Archives: De/Materializing Bodies” is a 1-day symposium on November 12th, 2016 at Ryerson University in Toronto, Canada. 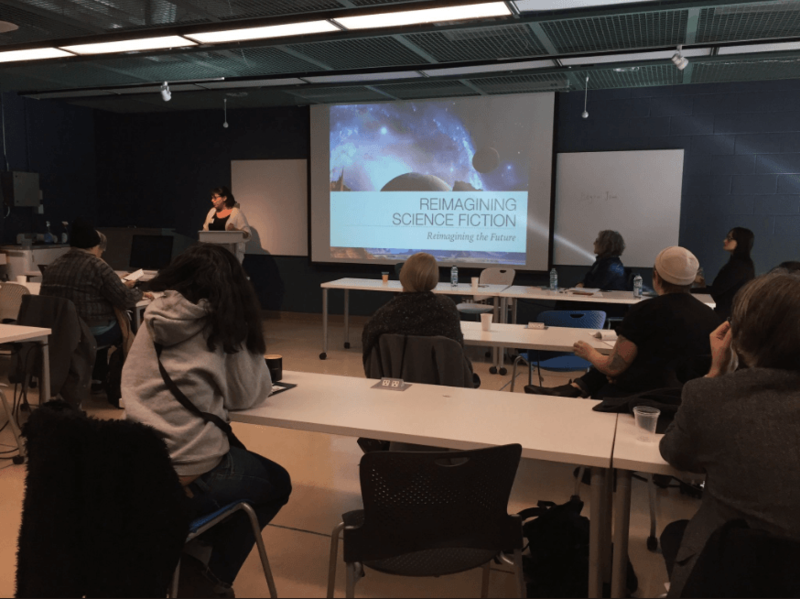 Hosted by The Studio for Media Activism and Critical Thought (RTA School of Media), AMA brought together aboriginal, LGBTQ2+, racialized, feminist and ally activists, artists, and scholars to interrogate the affective relationship between materiality, archives, and Canadian cultural practice. 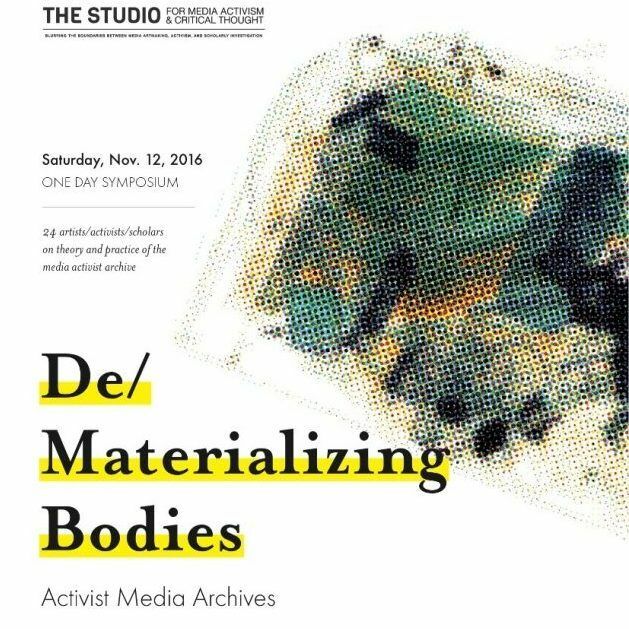 The Activist Media Archives Symposium: De/Materializing Bodies asks how we can create new archival practices to reincorporate lost records, voices, affects and bodies (The Studio for Media Activism, 2016). As a sound scholar and media creator, this call to action motivated me to question how we can materialize bodies through sound and how our bodies echo and move sonically within acoustic space. Speaking In and Listening Out is a soundscape project that focuses on voice, as extension of the body through sound. The plurality and uniqueness of voice, foundational to the symposium ethos, becomes re/materialized at will through on-site recording and on-demand re/amplification. 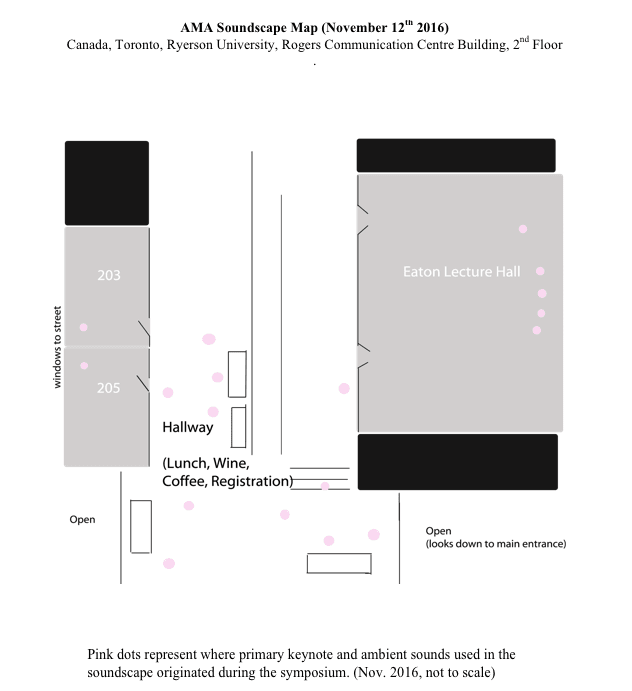 Along with environmental ambience, and interaction between body and space through reverberation, use of objects, and movement through the rooms and hallways, I use soundscape methods as conceptualized by R. Murray Schafer to create an artistic sound archive of the activist bodies present at the AMA symposium (Schafer, 1994, 274). Decades of Cartesian thought, of a separation between mind and body, created a fracture between the voice and the body. The introduction and proliferation of recording technology widened this chasm to create the disembodied voice of radio and recording technologies (Sterne, 2003, 290). Philosopher Adriana Cavarero reminds us “when the human voice vibrates, there is someone in flesh and bone who emits it” (2003, 522). The archive is in dire need of experimental and creative methods of materialization for our digital era to reflect this relation. Presented as a 30-minute soundwork, Speaking In and Listening Out advocates for soundscape archivism as a political method of creative practice that speaks to this techno-sound-body connection. The work presents sound art as a creative practice for the media archivist to reclaim activist bodies through the re/materialization of voice.